The Brazilian midfielder could make his debut against Espanyol tonight. It's a fixture he has experience before - but playing for the other team! Sometimes football turns full circle on itself. And the fact that Philippe Coutinhocould make his FC Barcelona debut against Espanyol on Thursday night is a fine case in point. 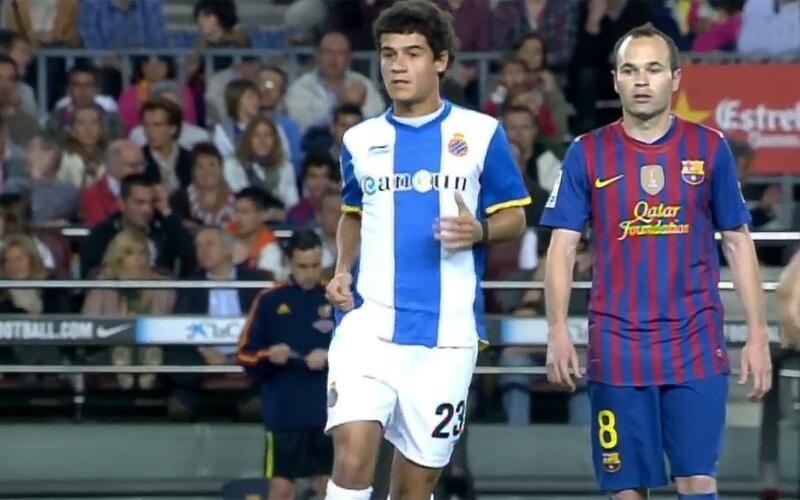 Because the Brazilians's only previous appearance at the Camp Nou was also in the local derby, but wearing the blue-and-white of Barça’s local rivals. That was in 2011/12, when Leo Messi scored all four goals in a 4-0 win to make it 50 for the season in what was Pep Guardiola’s last ever game in charge. Gerard Piqué, Sergio Busquets, Andrés Iniesta and the aforesaid Messi have all survived in the Barça squad from that encounter (Javier Mascherano, who announced his departure yesterday, also featured). For Espanyol, Dídac Vilà, Javi López and Víctor Sánchez are still in the team that faces their now former colleague. Coutinho came on in the 68th minute of the game, enough time to show off some of his qualities. You can see what we mean by clicking on the video, safe in the knowledge that this evening he’ll be wielding his magic in a blaugrana shirt instead!